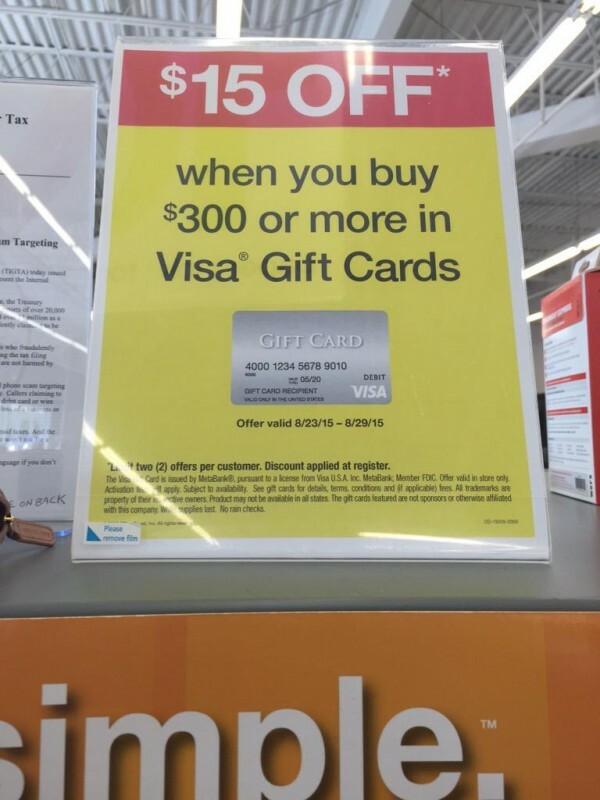 OfficeMax is having a sale on Visa Gift Cards. $15 off $300 of Gift cards. These will not last long on the shelves.